nSytes is a Buffalo based web design and web development studio located in Orchard Park, NY (just 20 minutes south of Buffalo). I've been serving the Western New York area (and beyond) since 2003 providing my clients with professional and attractive web designs powered by quality architected databases and web development features. I invite you to look through the scrolling portfolio below to find some of the web design and web development projects I've done. My portfolio includes web design and development projects from the Buffalo, NY area as well as several out-of-state projects. Click on the "Visit this site" button to see the live website. If you're looking for ideas for your own project, perhaps my portfolio will help inspire you! 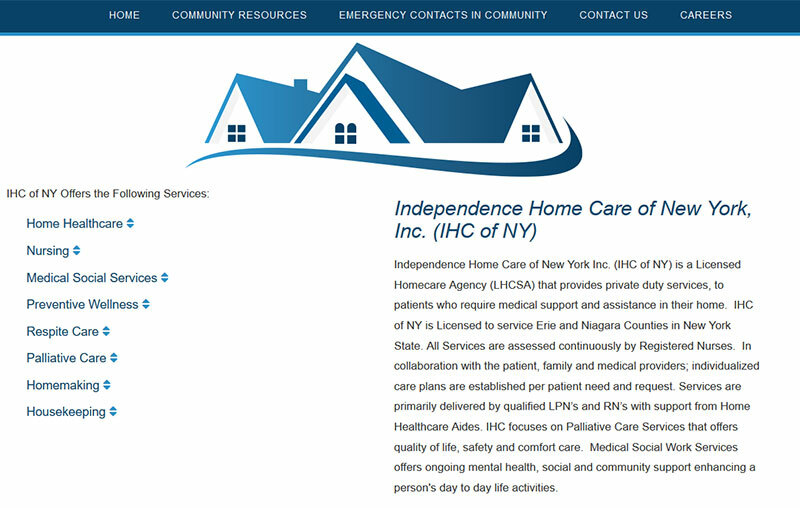 Independence Home Care of New York Inc. is a Licensed Homecare Agency (LHCSA) that provides private duty services to patients who require medical support and assistance in their home. This business website is in the nSytes CMS where the client can make updates to their website's content. Visit their website to see if they can be of assistance with the loved ones in your life who may need home care assistance. 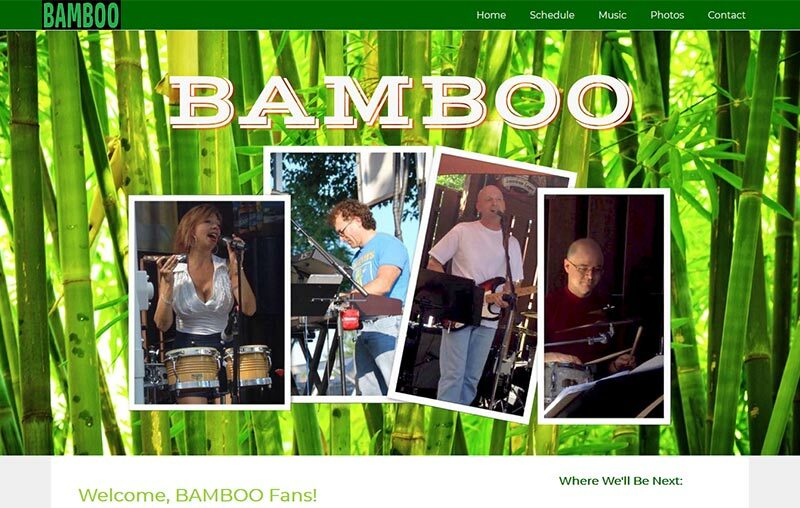 Bamboo is Western New York's newest live entertainment! The addition of this website to the nSytes CMS allows the the band to make schedule updates, send email announcements to their fan list, and upload photos to their photo gallery. Visit their website to find out where they'll be playing next - you'll love them! 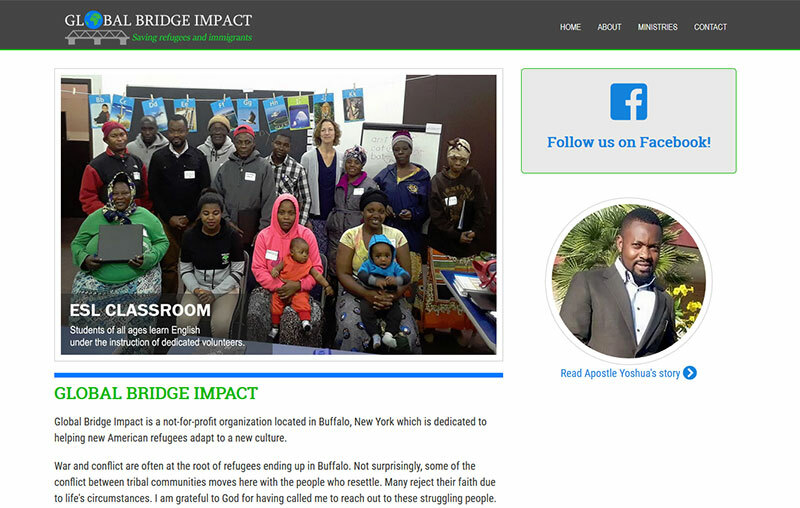 Global Bridge Impact is a new site that is still in development. The site has been created to bring together the refugee ministry in the city of Buffalo with those that volunteer their time, support it in prayer, and the refugees who will eventually use it for information. Ten by Ten is a group I'm involved with. I built this website to promote a book our group has written that encourages young children to get outdoors and learn more about our natural world. This site is run by a custom CMS where our members can manage photos and site content. 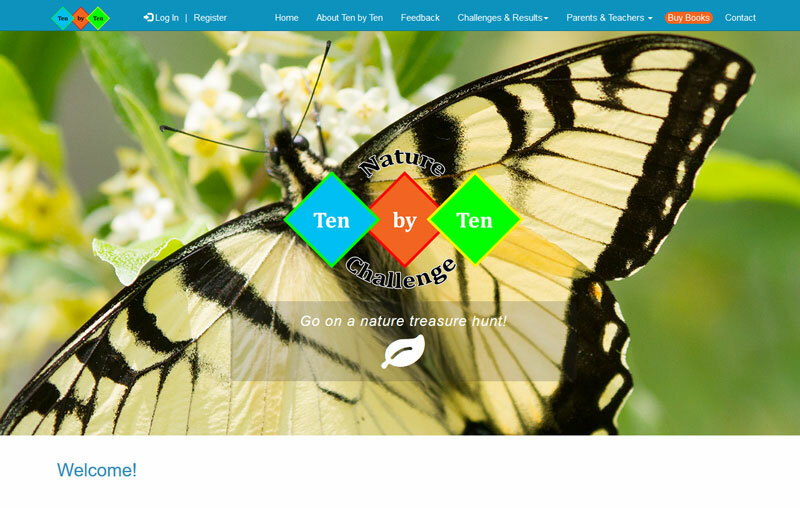 The Ten by Ten Project is designed to introduce boys and girls to the wonderful world outside and to give them an opportunity to participate in scientific activity. This site was built as a static site for a brand new business. Hosting was included in the plan as well. 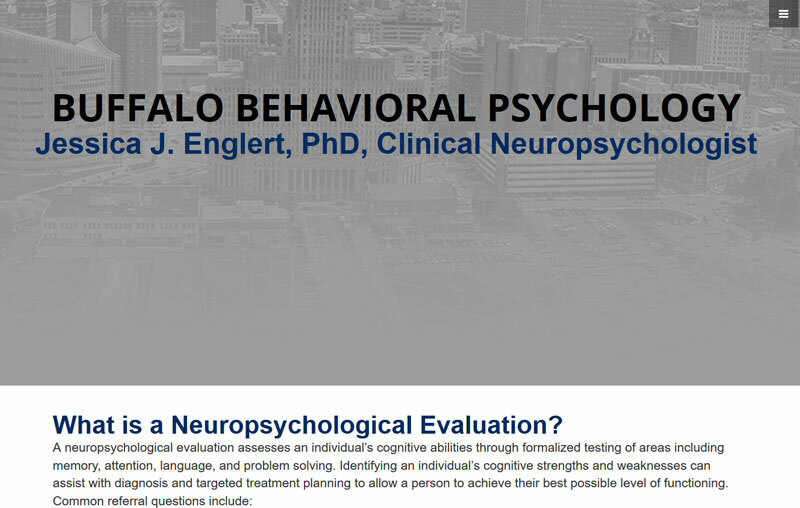 Jessica J. Englert, PhD is a clinical neuropsychologist who specializes in providing neuropsychological evaluations for individuals with neurological conditions, medical illnesses that affect cognition, memory disorders, mood disorders or psychiatric illness, developmental disabilities, learning difficulties, and Attention-Deficit/Hyperactivity Disorder. The Madison Funding Group is making full use of the nSytes CMS by posting real estate loan features, news items, and, of course, page content as well. 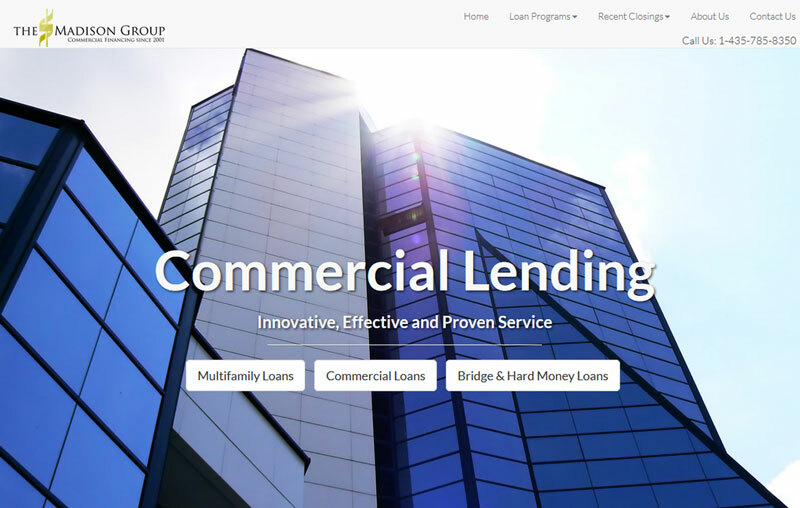 Whether you are an investor seeking to purchase, pull cash out of an asset, reduce monthly payments, or secure better financing terms, Madison Group Funding can help! 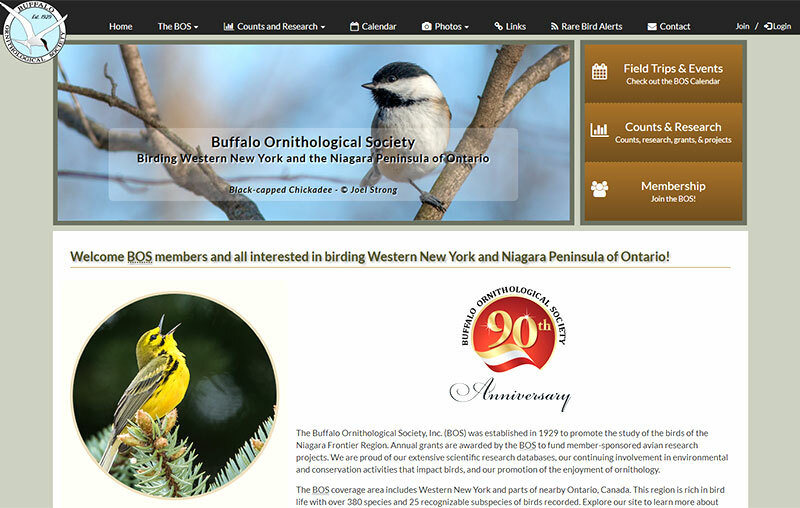 The Buffalo Ornithological Society is a growing group of bird lovers who use this redesigned site to find calendar events, share their photos, archive newsletters and meeting notes, as well as a place to post rare bird happenings. A custom CMS was built for this group which provides many features beyond the nSytes CMS. The Buffalo Ornithological Society (BOS) has something to offer to anyone passionate about birds: from the backyard feeder- watcher, the avid lister or the environmental activist, to the dedicated citizen scientist or the professional ornithologist. 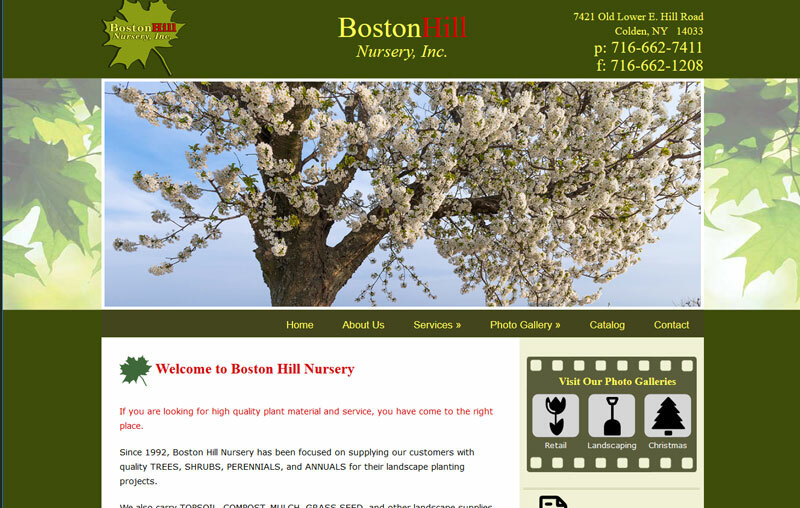 After a redesign of their website, nSytes also provided Boston Hill Nursery with the ability to make updates to their site content by adding them to the nSytes CMS. Boston Hills Nursery is located at the top of Cole Road in Boston, NY. Come out and find your Christmas tree from their tree farm! In spring, you'll want to browser their nursery for perenials, annuals, hanging baskets, and more! Betsy wanted a website that was designed with a responsive approach for large computer screens to mobile devices. She also needed a better way to keep her website updated with her artwork. 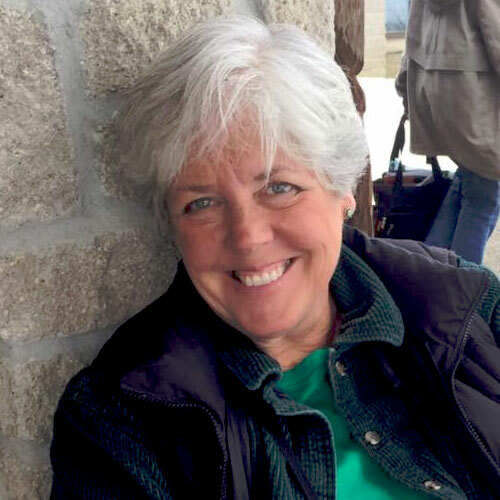 Adding Betsy newly designed site to the nSytes CMS helped Betsy accomplish all her goals! 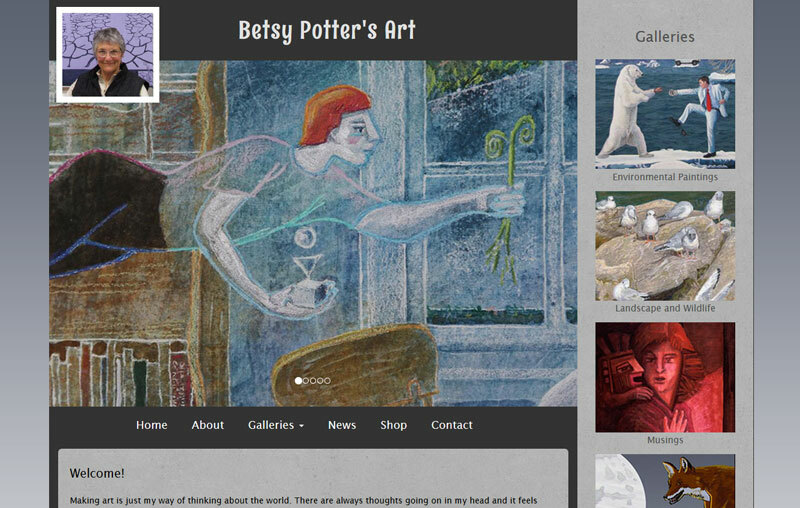 Betsy Potter's artwork is available to browse and purchase online and is organized by different themed categories. 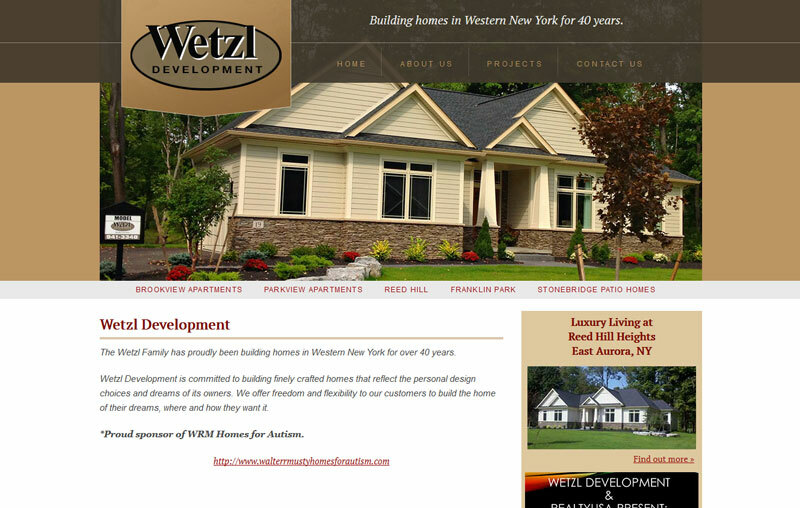 Wetzl Development was seeking a new look for their website as well as content management. In addition to the typical page content updates they are now able to do, they are also able to manage photos in the several photo galleries they use to show case their development projects and apartment rentals. The Wetzl Family has proudly been building homes in Western New York for over 40 years and is committed to building finely crafted homes that reflect the personal design choices and dreams of its owners. Berkley Square HOA is a private group of homeowners located in Hamburg, NY. Their consulted with me to create a website where their members could post bulletin board announcements, share contact information and event photos, and a place to post association news and announcements. This was a highly customized site that is integrated with the nSytes CMS. 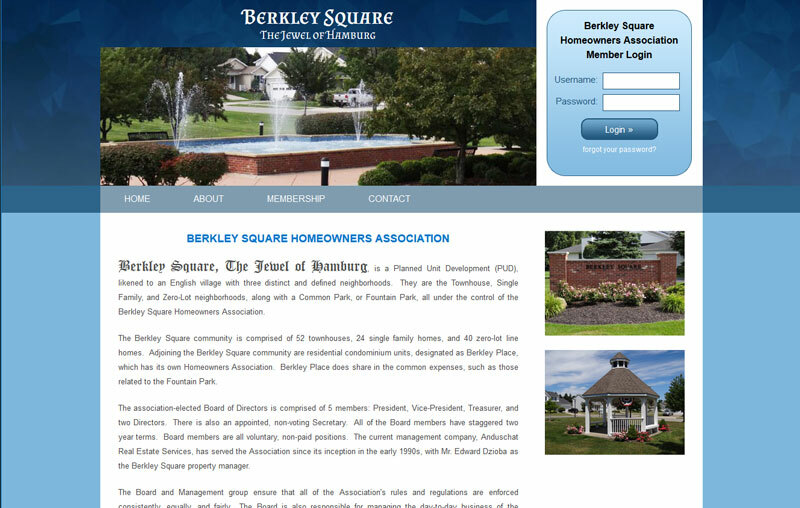 Berkley Square Home Owner's Association is a private group of residents in the Hamburg area. 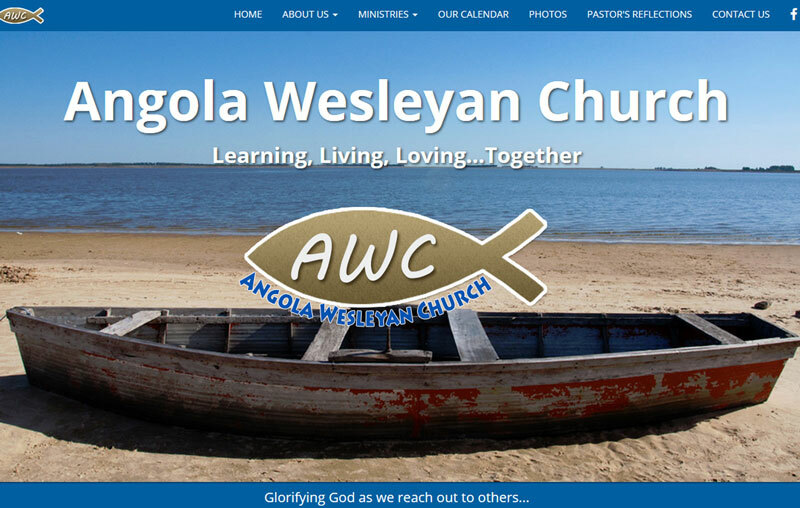 Angola Wesleyan needed a little more contemporary look as well as an easier CMS to make updates to their site photo galleries, calendar, and page content. Angola Wesleyan Church is located in Angola, NY - near the lake. All are welcome to join their Sunday worship services! 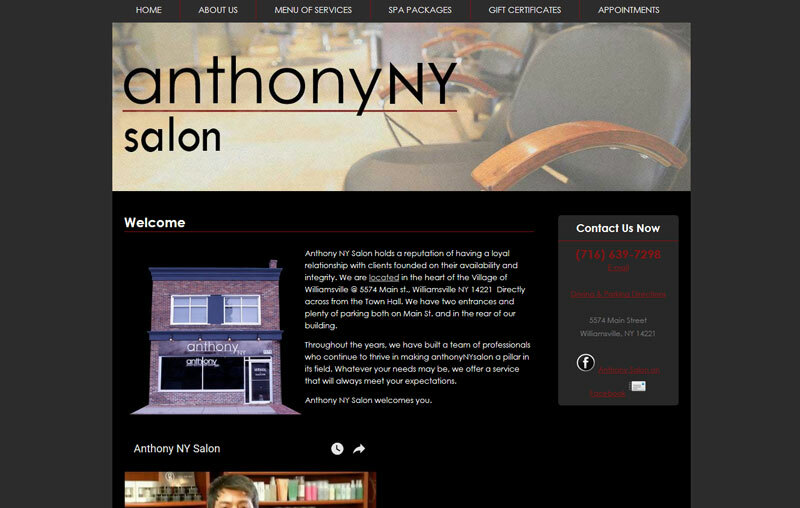 Anthony's Salon needed new web hosting and nSytes was happy to help. A few cosmetic updates have been made and, eventually, Anthony began using the nSytes CMS to make edits to his own content. Visit Anthony's Salon NY in the heart of Williamsville, NY - right on Main St - and let Anthony work his magic! 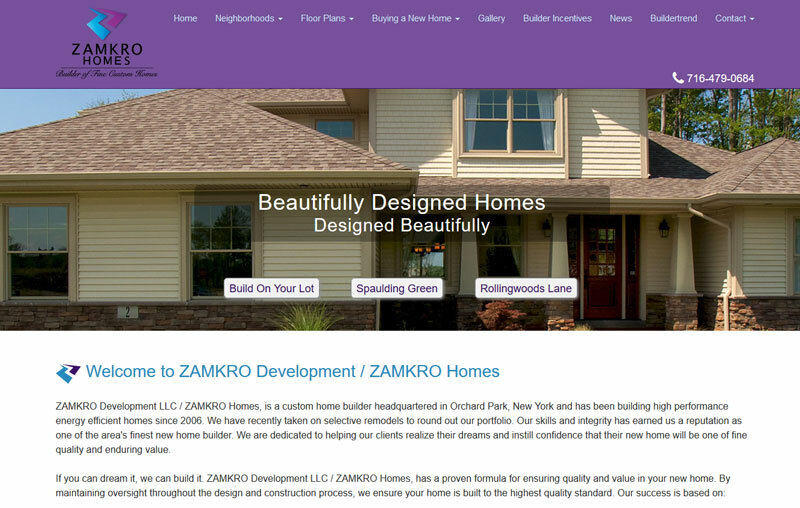 Zamkro Development wanted a new look for their home building website. In addition to the new website design we gave them, nSytes also provided integration into our Content Management System so they would be able to add new photos and page content whenever they needed, without incurring additional cost. 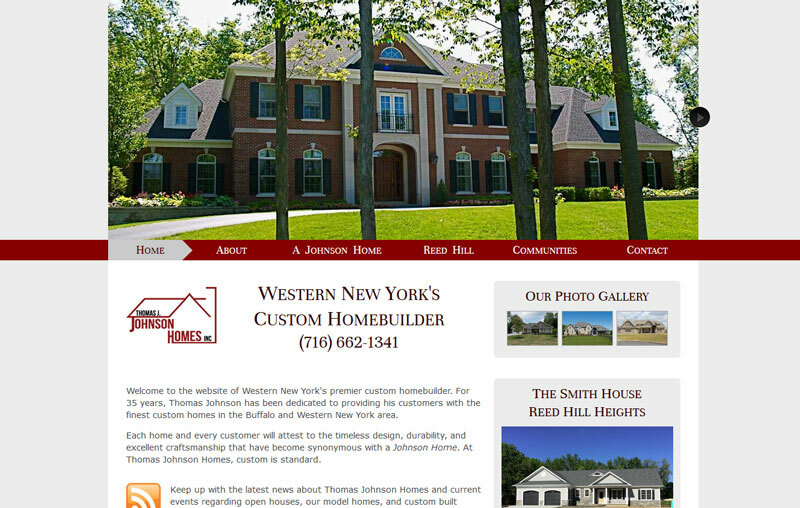 Zamkro Development, LLC, is a custom home builder headquartered in Orchard Park, NY. Their team of talented people are dedicated to helping you realize your dreams and instill the confidence that your new home will be one of fine quality and enduring value. 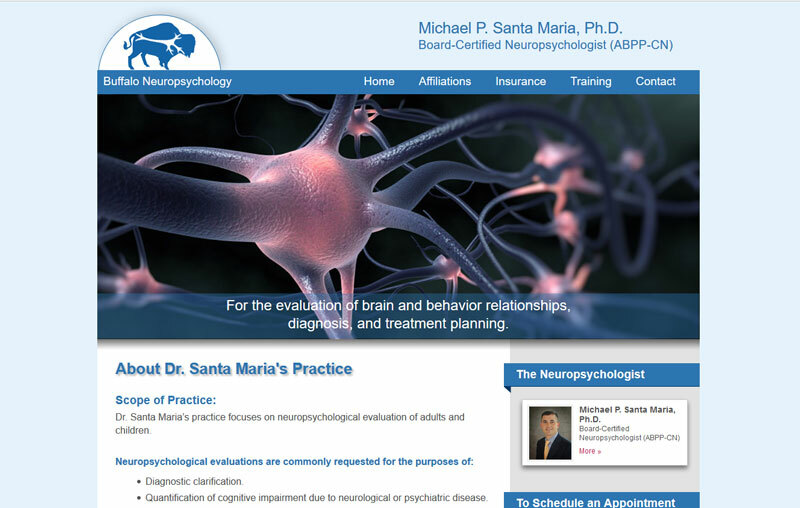 Michael Santa Maria, Ph.D., wanted a redesign for his neuropsychology practice's website. nSytes gave the site a whole new look as well as integrated it into the nSytes Content Management System. Dr. Santa Maria is enjoying his site's new look and feels good about having the control over its content. Dr. Santa Maria’s practice focuses on neuropsychological evaluation of adults and children. 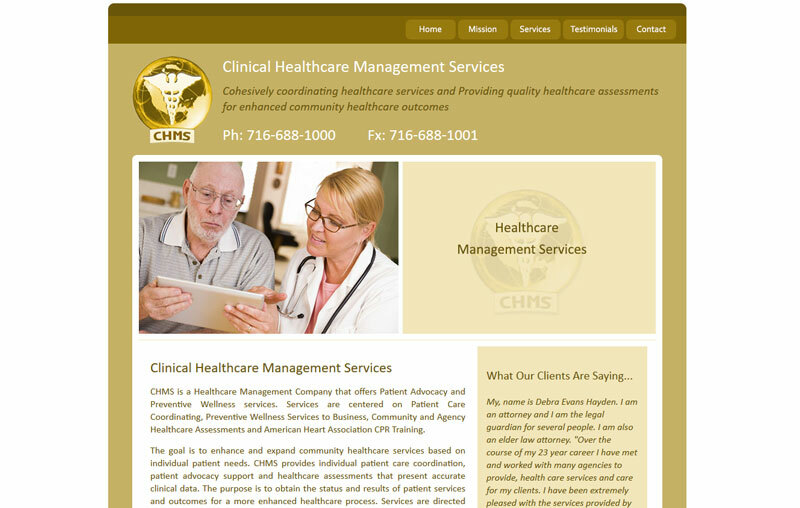 Clinical Healthcare Management System was looking for a more contemporary look to their existing website. Since healthcare is such a rapidly changing field, it made sense for them to be able to make quick updates to their website's content. We added them to the nSytes Content Management System and they're now able to keep their content accurate and fresh on their own. Clinical Healthcare Management System: Cohesively coordinating healthcare services and Providing quality healthcare assessments for enhanced community healthcare outcomes. Atlanta Media Conversion, a new digital media conversion company located in Atlanta, Georgia needed a website to advertise their services. nSytes provided them with an eye-catching website with a little "WOW factor. I connected them to the nSytes CMS, giving them the ability to make changes to their site's page content. Do you have old videos, photographs, tapes, or slides that you want to organize and preserve forever? 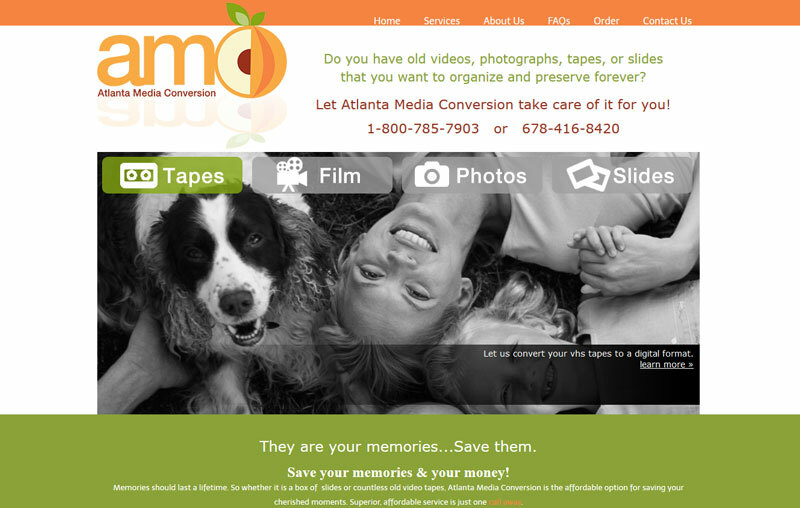 Let Atlanta Media convert them into digital media, saving your precious memories for a lifetime! 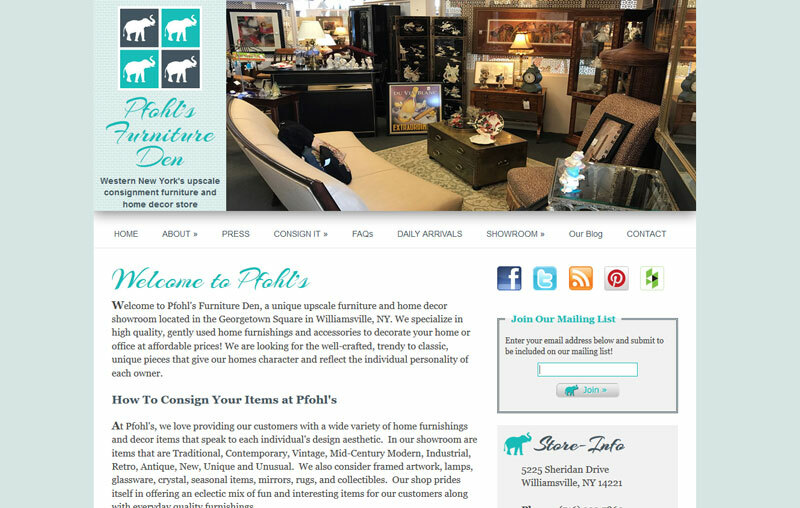 Pfohl's Furniture Den, a new, fast-growing consignment emporium in Williamsville, wanted a way to quickly add and remove their fast-changing consignment items on their website. nSytes provided Pfohl's with a nice, visually pleasing showcase on their site, all managed via the nSytes Content Management System. It's now a quick and easy process for them, which also seamlessly adds special items to their blog which ALSO feeds to their Facebook page. Talk about quick and easy! A unique upscale furniture and home decor emporium located in the Georgetown Square in Williamsville, NY. Thomas Johnson Homes has been re-designed with an emphasis on showinf off their beautiful custom-built homes. Johnson Homes are found in select communities throughout Orchard Park, NY and are built with quality and beauty in mind. nSytes was pleased to help with this project, offering them the ability to add and manage their photo galleries of homes. Thomas Johnson Homes, beautiful, quality custom-built homes. WNY Jobs wanted a mobile-friendly site so I designed their new look to be responsive for all devices accessing it. This highly customized site is run by a SQL database with its own CMS. Buffalo and Rochester's hottest job board! 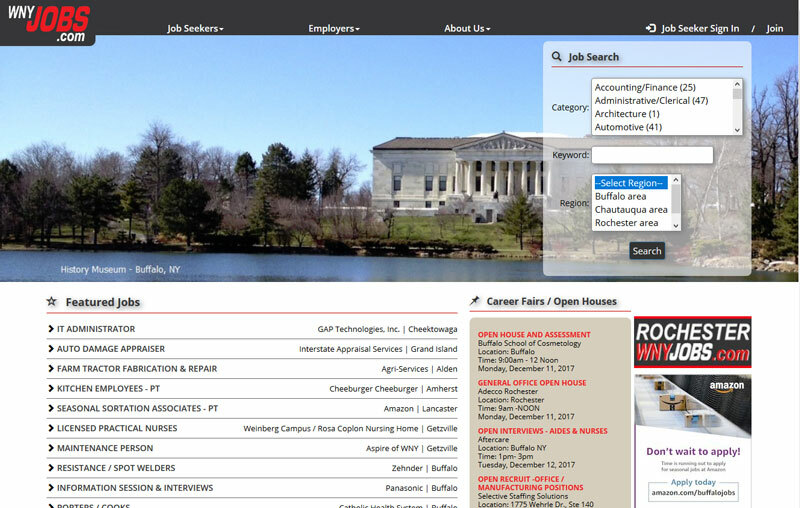 Check out wnyjobs.com if you're even remotely thinking about improving your future! 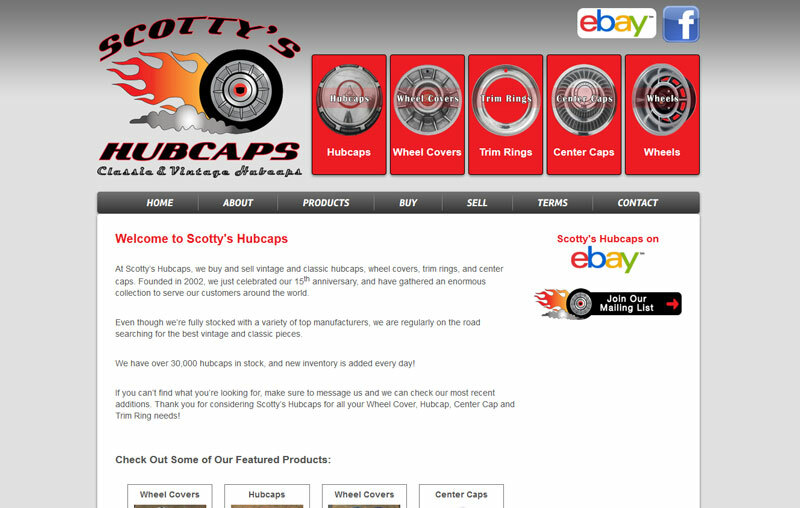 Scotty's growing business needed a web presence with an online store to sell his massive inventory of hubcaps, wheel covers, trim rings, and center caps. Working around his logo, I gave him an eye-catching site with an intuitive shopping experience. With a connect to the nSytes CMS, Scotty is able to manage his page content and product inventory. Scotty's Hubcaps buys and sells vintage & classic hubcaps, wheel covers, trim rings, and center caps. If you don't find what you're looking for on his website, let him know he'll find it! 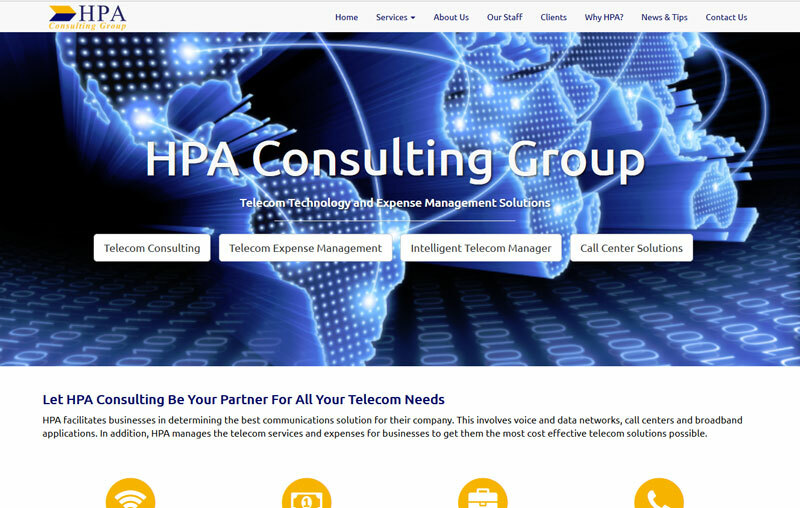 HPA Consulting Group, a telecom and information technology solutions group in Rochester, New York, is our newest client. We welcomed the opportunity to provide the group with a new website design and content management for their ease in keeping their site up-to-date. Perhaps your business needs their services. Let HPA Consulting Group be your partner for all of your telecom and technology planning, telecom cost management and business planning needs. HPA Consulting Group: your partner for all of your telecom and technology planning, telecom cost management and business planning needs. 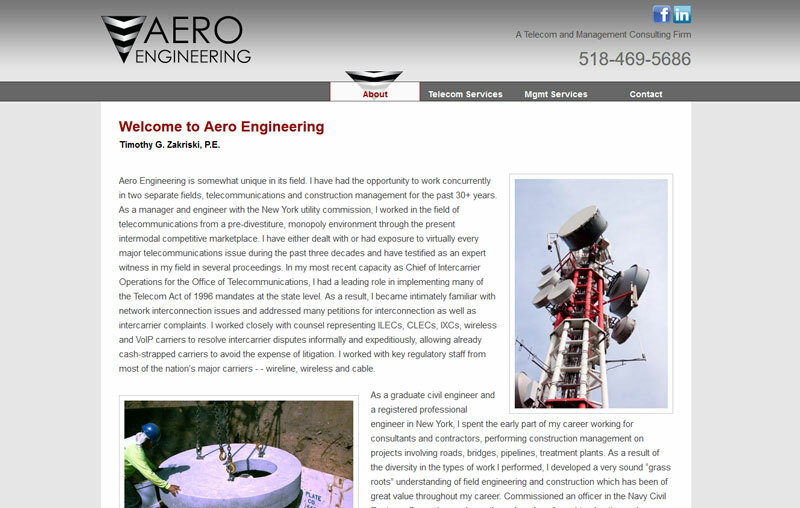 Aero Engineering is a new consulting firm based near our state's capital. nSytes was pleased to provide their business with a new, professional website. They offer a wide variety of services in the field of telecommunications; your business may need their consulting expertise. 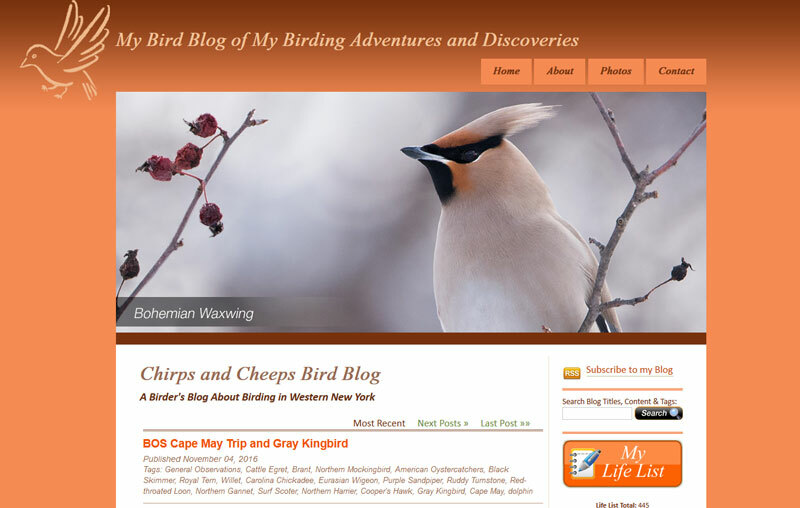 This is my own personal site where I used to keep an online photo journal (blog) of my favorite pasttime, birding. You may still find some interesting stuff in here, although I am not keeping it up-to-date these days. Between work, family, and birding, it's been hard to journal! Maybe one day when I am retired I'll get back to it! Chirps and Cheeps is a chronological collection of photos and blogging of bird sightings that center primarily around the Buffalo and Western New York area. 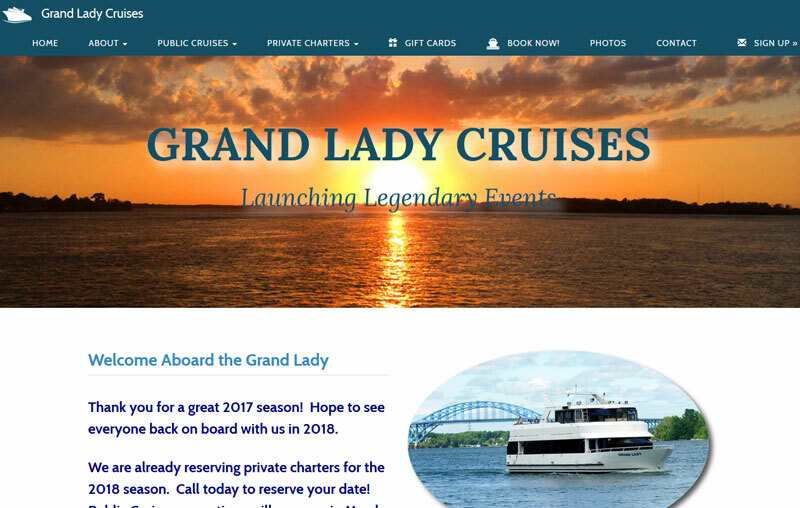 Grand Lady needed a site redesign and a better way to manage their site's content. We provided two types of custom content management for them as well as a custom shopping cart for their customers to purchase gift certificates and reserve cruise dates. We were very pleased to have been selected for this project and wish them smooth sailing as they sport their new look and enjoy using their new site tools! Grand Lady Cruises provides a great selection of opportunities to enjoy one of the best parts of the Buffalo Niagara Region: the Niagara River. AMR's website has just been updated with a new, responsive design. 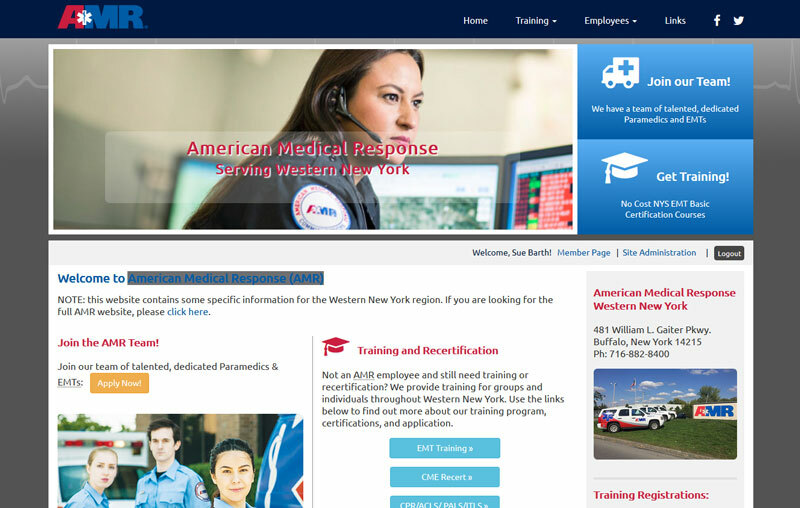 Their custom solution also provides AMR with a content management system to manage their training class schedules, registrations, news articles, and more. American Medical Response is WNY's #1 provider of emergency ambulatory care and EMT responders. AMR also is the premier provider of medical, safety, and health training for the Buffalo, Niagara, and WNY area. 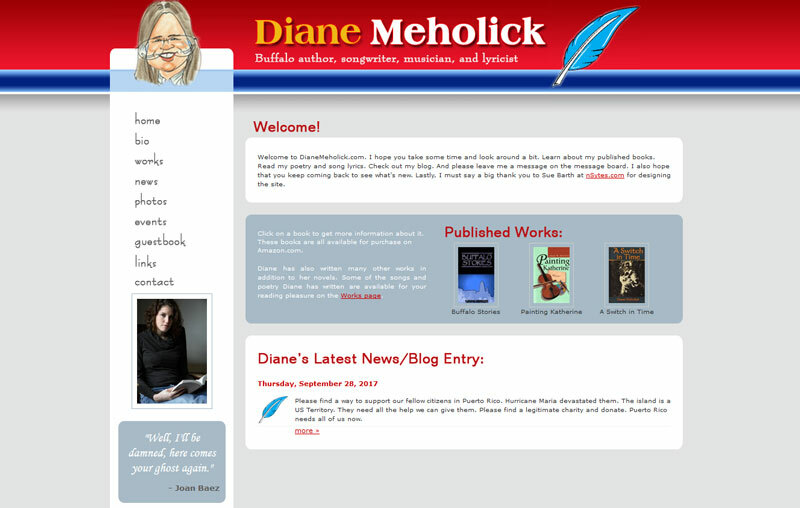 Buffalo author, Diane Meholick, wanted a new and fresh look for her existing website. She also wanted a way to update her site that was easier than her last experience. After we gave her site a fresh, new look, we integrated it into our Content Management System where she can now quickly and easily update her speaking engagements and book signings, her photo gallery, and her song lyrics and special web links. Buffalo author, songwriter, musician, and lyricist! Find out where Diane's next book signing will be! This Buffalo business required a way to update his continually changing car fleet. His business hauls cars from the south up to Buffalo, which he then offers for sale from his website. We integrated this site into our Content Management System where the owner can now upload images to feature these beautiful Southern cars. Find that perfect Southern car! 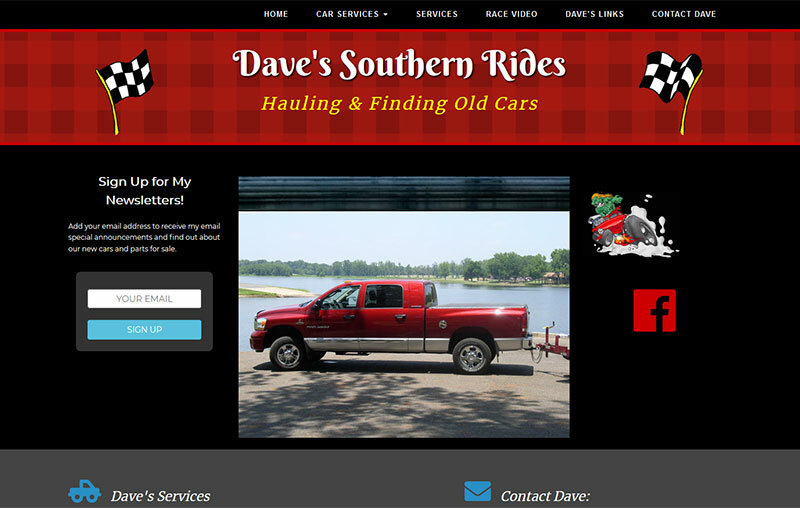 Dave offers cars for sale, car parts, and a car hauling service. This Buffalo band needed a way to manage their online performance schedule, videos, songlist, and more. We integrated them into our Content Management System which gave them the ability to manage all these items, including photo uploads for their music events. 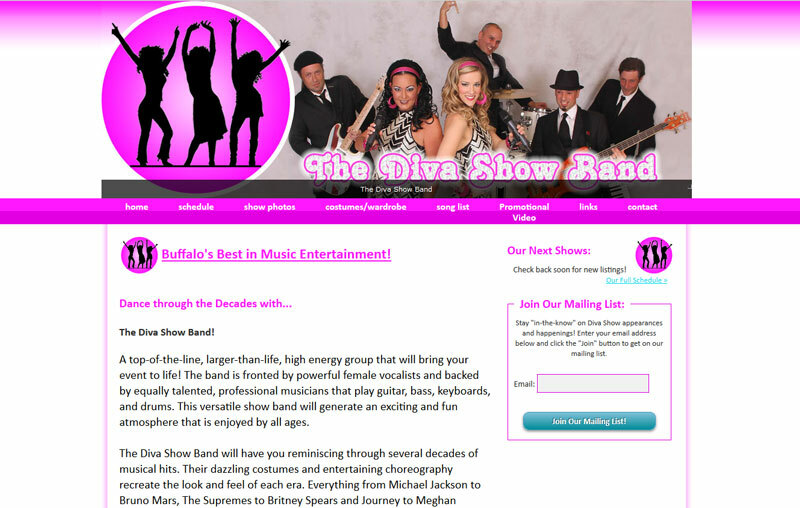 The Diva Show Band is Buffalo's top entertainment and show band. This Buffalo band performs throughout the WNY and Buffalo area and entertains with costumes, tunes from the 50's, 60's, 70's, 80's, and more! 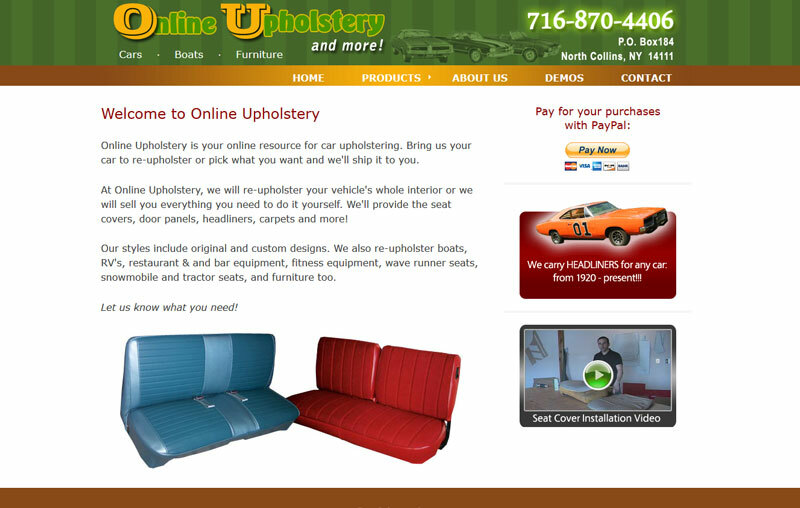 The owner of OnlineUpholsteryandMore needed a website to promote his custom car seat and door panel business. He wanted the ability to add new products and upload product shots so his customers could browse all the available seat covers, door panels, etc... Adding him to the nSytes CMS was just the ticket - now their online end of their business has become very active and he's able to easily update his product offerings from anywhere with internet access. Online Upholstery is a Western New York owned business that produces custom automobile seat covers, door panels, carpeting and more. 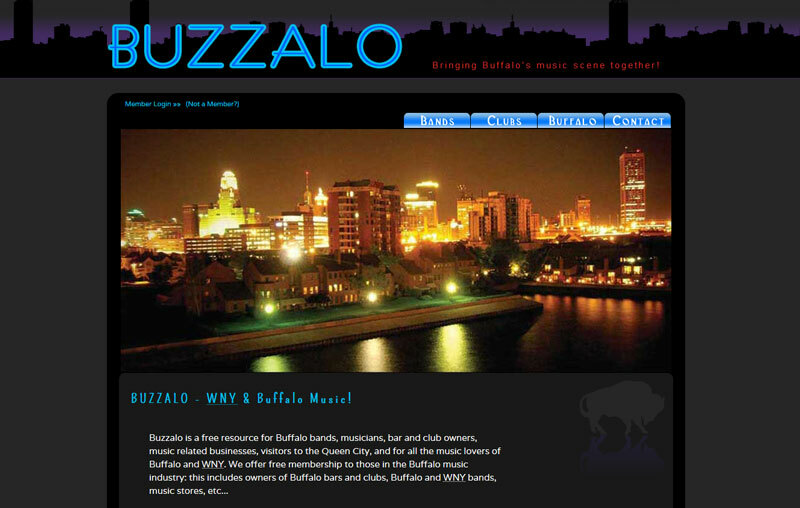 Buzzalo is a listing site for the WNY and Buffalo music groups and businesses. nSytes gave Buzzalo a complete re-design and also added several new features with member login capabilities, giving Buffalo musicians, club owners, and businesses the ability to maintain their own listings. Buzzalo just got a make-over - both in design and in functionality! Buzzalo is WNY and Buffalo NY's premier online music listing resource for bands, venues, and music related businesses. 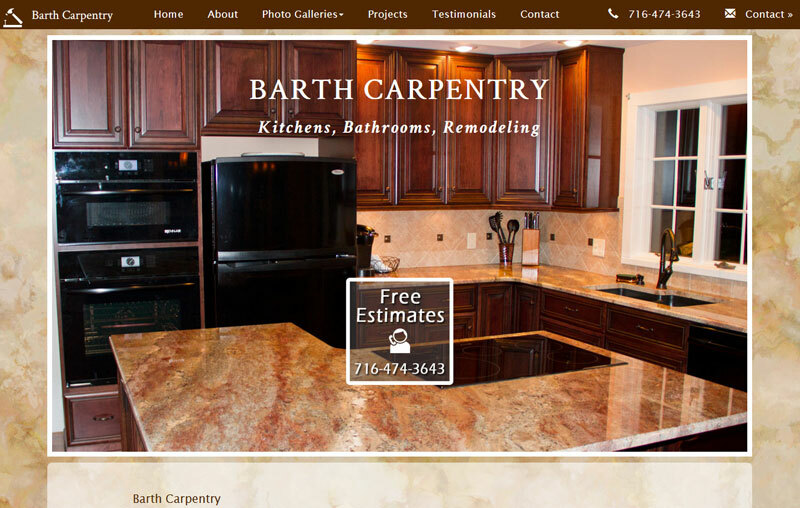 Barth Carpentry wanted a website to feature their remodeling work and also a way to upload photos for kitchen remodeling jobs they completed. After integrating them into our Content Management System, their online kitchen photo galleries are under their control to manage. Specializing in kitchen design and kitchen remodeling, Barth Carpentry also provides cabinet installation and general interior remodeling for the Buffalo and WNY areas. I'd be happy to discuss the details of the website design or development project you have in mind as well as provide you with a free price quote. Please use this form or call 716·474·3657 to get started!